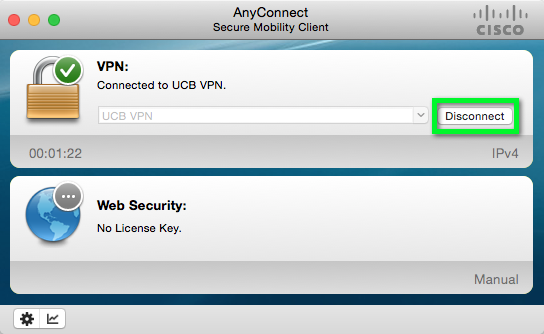 The documentation below shows the process of setting up the AnyConnect application to connect to CU Boulder's VPN service for Macintosh users. *Note: Users who update their computers to macOS High Sierra 10.13.4 may see an error message when using VPN. This will not affect the app usage, but downloading the newest version of AnyConnect will dismiss the message. Learn more on the VPN - Known Issues page. 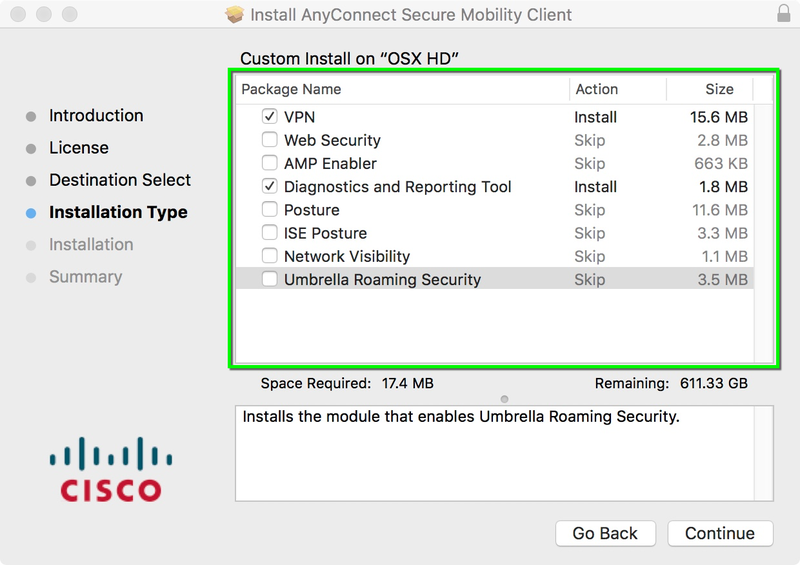 Download and install Cisco AnyConnect for Mac . *Note: Umbrella Roaming Security is a service that CU Boulder does not utilize. If this box stays checked during installation, when using the tool you will see a warning notification that Umbrella is not in use. This will not prevent a VPN connection from working securely. 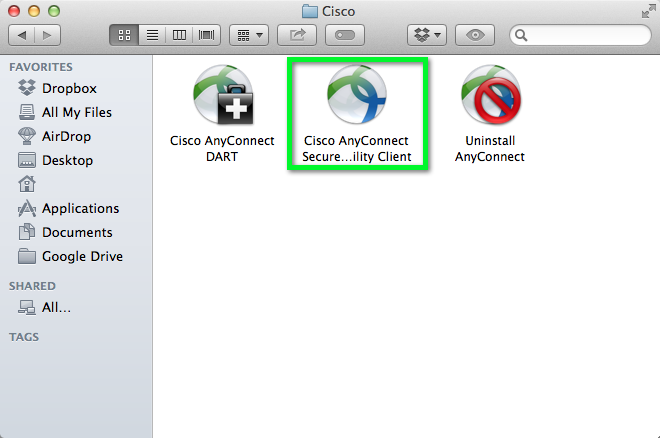 Open the Cisco AnyConnect Security Mobility Client application. *Note: The application is in the Cisco folder, located in Applications after the initial download. Type vpn.colorado.edu into the VPN: textfield, then click Connect. 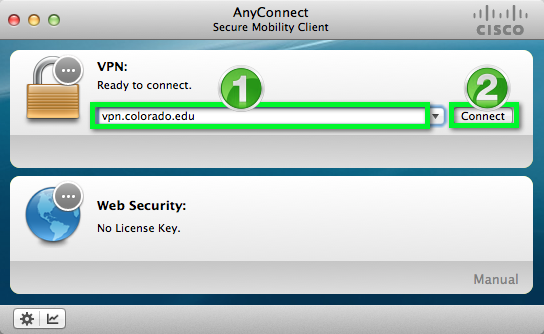 When prompted to login, enter your CU Login Name and IdentiKey password, then click OK.
You will now be connected to the CU Boulder VPN service. All your internet activity will be routed securely through the VPN. *Note: For future connections, use steps 2 - 5. The vpn.colorado.edu connection can now be selected from the the drop-down menu in step 3. End your session by clicking the Disconnect button.